The pair talked about Russia, Vladimir Putin and the Salisbury poisoning during the conversation, audio released on Thursday revealed.A UK diplomatic source later hit back, calling it a "desperate attempt by the Kremlin to save face".Downing Street confirmed an investigation is under way.Mr Johnson began the conversation by congratulating the hoax caller "very sincerely on your remarkable success", believing he was talking to newly elected Armenian leader Nikol Pashinyan. "You can definitely count on the UK and I admire your vision and what you're trying to achieve," he said. Later in the call, Mr Johnson was prompted to discuss Russia.He said that "obviously we had hoped to have better relations... than we currently do", adding: "I'm afraid that Russia seems to be unable to resist malign activity of one kind or another. 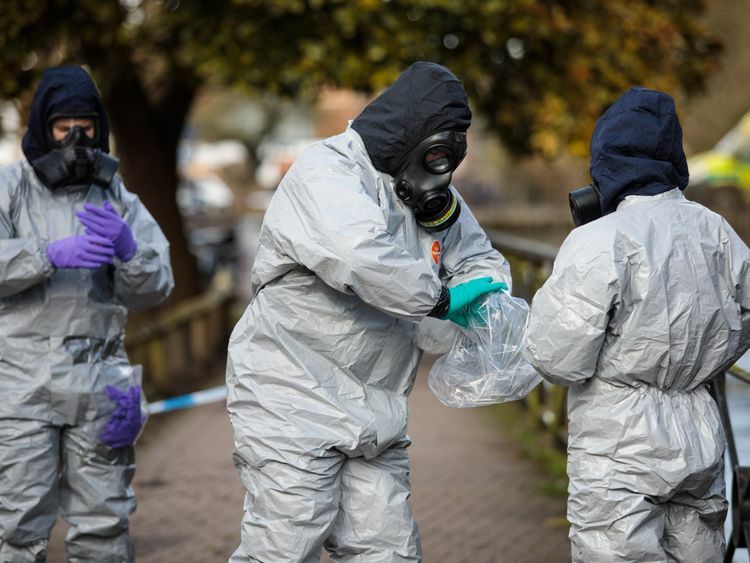 "Mr Johnson then appeared to laugh when the caller said he was holding a meeting with the Russian president and "hoped he will not poison me with Novichok", the nerve agent used on Sergei and Yulia Skripal. "The only thing the Russians respond to is determination and firmness," was the foreign secretary's advice. 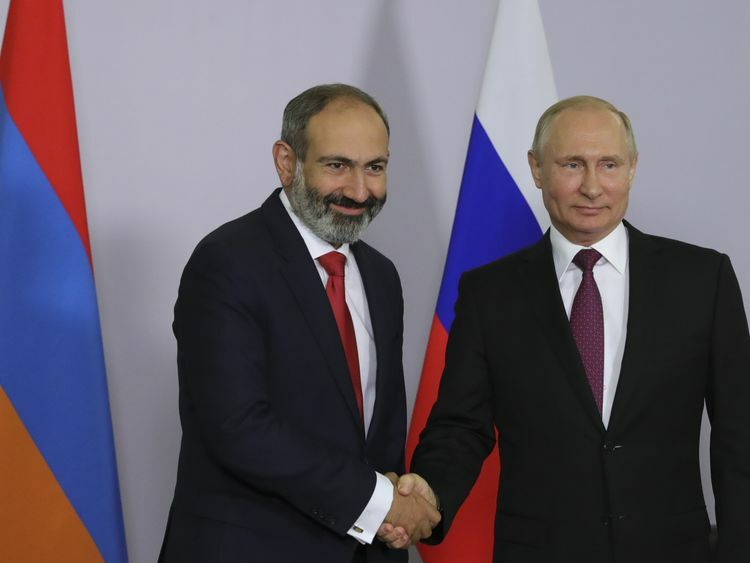 It is not clear when the call took place, but the real Armenian prime minister held the talk with Mr Putin referred to on 14 May - ten days ago.The full audio was released on Thursday on a YouTube channel that names two famous prankster known as "Vovan and Lexus" as the culprits.It comes on the same day the investigation into the downing of Malaysia Airlines flight MH17 blamed Russia, and the day after Yulia Skripal gave her first interview. "We will continue to tighten the squeeze on some of the oligarchs who surround Putin. "You throw a stone in Kensington and you'll hit an oligarch. But some of them are close to Putin and some of them aren't. "Mr Johnson put the phone down when the prankster claimed that the Prime Minister of Ukraine had recently been poisoned, but recovered after taking an antidote "he keeps with him always". A Foreign Office spokesperson told Sky News: "The foreign secretary realised it was a hoax, and ended the call. "We checked it out and knew immediately it was a prank call. "The use of chemical weapons in Salisbury and Syria, and recent events in Armenia are serious matters. "These childish actions show the lack of seriousness of the caller and those behind him. "A UK diplomatic source added: "This seems to be the latest desperate attempt by the Kremlin to save face after it was internationally shamed in the wake of the Skripal attack. "Boris rumbled them pretty quickly and ended the call. "It is tragic to see a major international power reduced to failed pranks you would usually only see on Trigger Happy TV. 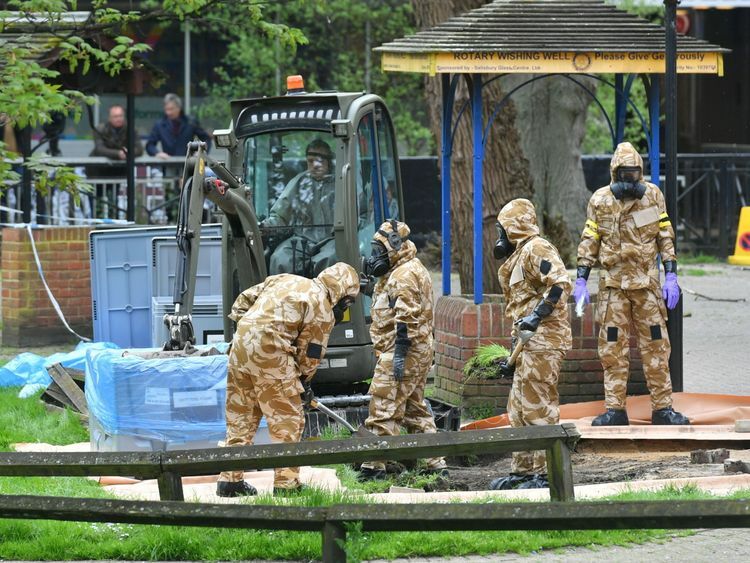 "Russia denies any involvement in the Salisbury poisoning and has dismissed the video message from Ms Skripal as "staged". Downing Street revealed a Whitehall investigation will take place, which will include those who were involved with the handling of the call.A spokeswoman for the Prime Minister said: "This shouldn't have happened. An investigation is underway to determine the circumstances to make sure this doesn't happen again."